Putter head has a rubberized outer layer over a metal core with metal shaft. 27"L putter is recommended for kids up to 50" tall. 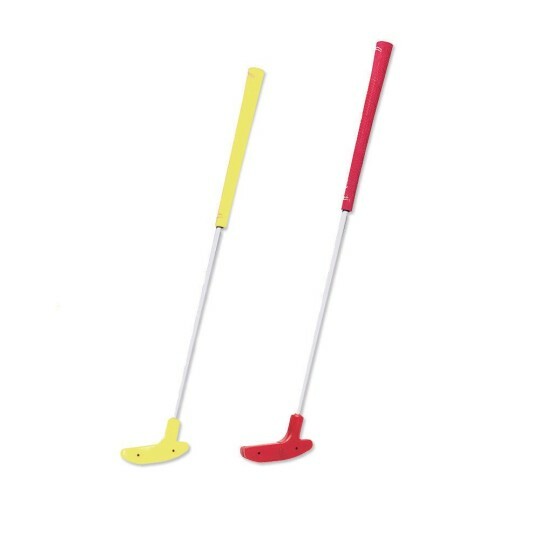 29"L putter is suitable for kids 48" to 64" tall. Putter head has a rubberized outer layer over a metal core with metal shaft. 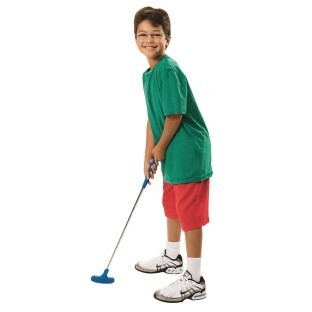 27"L putter is recommended for kids up to 50" tall. 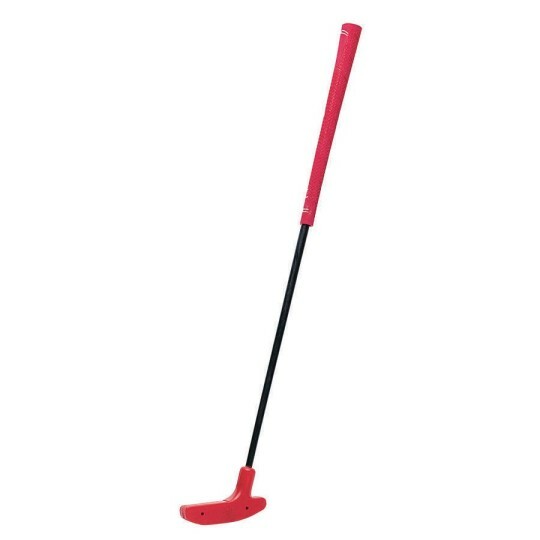 The 29"L putter is suitable for kids 48" to 64" tall. Colors may vary. Perfect size for most of the seniors. Easy for them to use with our putting green. They really enjoy it now that we have the perfect golf club. We had bought multiple plastic ones that just get trashed... These seem well made.